A rise in clothing consumption and production has led to a dramatic increase in textile waste around the world. 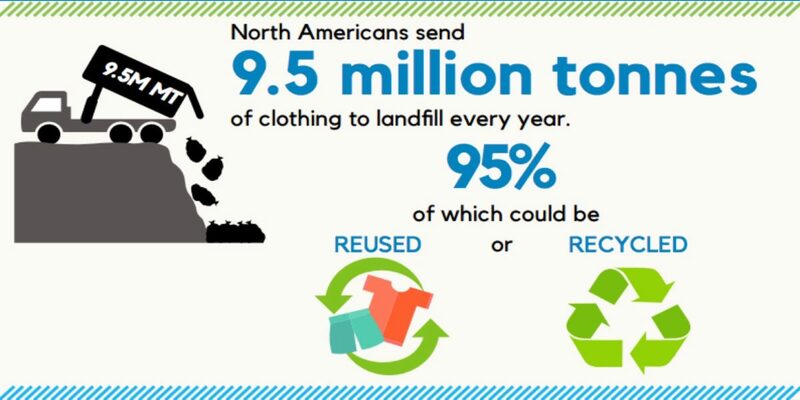 In Canada, the average person throws out 81 pounds of textiles annually, while North Americans send 9.5 million tonnes of clothing to the landfill every year — most of which could be reused or recycled, according to statistics compiled by Waste Reduction Week in Canada. In an effort to curb the problem locally, the City of Brandon has joined a pilot study on textile waste diversion with York University and Diabetes Canada. “Even though we have great organizations in our community such as MCC Thrift (Shop), Nearly New, and Diabetes Association, there is still an estimated 85 per cent of textiles that end up in our landfill,” said Lindsay Hargreaves, the city’s environmental initiatives co-ordinator. Simon Langer, national manager of government and strategic partnerships with Diabetes Canada, said it is estimated that more than 3.8 million pounds of used textiles are being generated by households in Brandon on a yearly basis. “This not only represents a significant amount of material being sent to landfills … but it is a missed opportunity to generate revenue for critical, life-saving diabetes research,” Langer said. A new report released by Value Village shows there are promising trends toward decluttering, but North Americans are throwing away far more textiles and home goods than ever before. The report also revealed the continued need for consumers to embrace the full cycle of reuse — to not only donate, but also shop for used or upcycled products. “While there is a consistent base of people (40 per cent) who purchase pre-owned goods at least once every few months, 60 percent of North Americans are shopping thrift once a year or less,” states the report. Value Village commissioned Edelman Intelligence to conduct a survey of 3,001 people age 18 or older from the general population in the U.S. and Canada. The survey was conducted online from March 15-22.